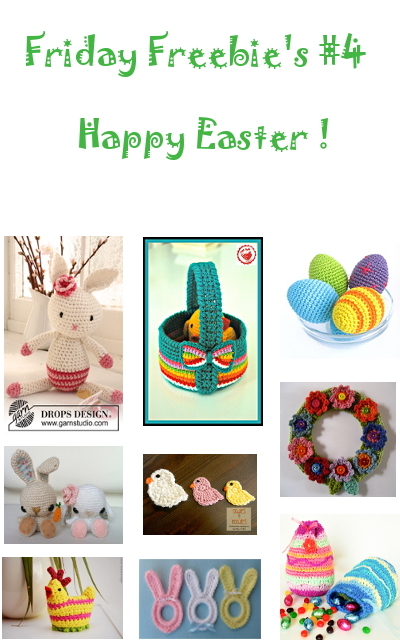 Easter 2014 is imminent – time to grab your hooks and start to crochet decorations, presents and accessoires! 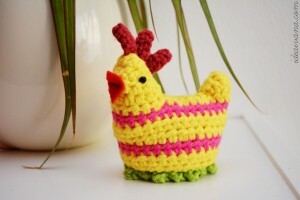 Here are 9 free easter crochet patterns for you. Simply click on the name to get linked to page that cointains the free pattern. Free pattern for a cute crochet bunny by Drops design! Awwwww the cuteness ! 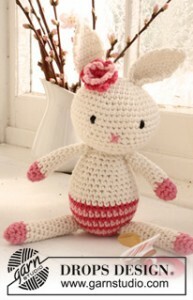 I have to have one of those! 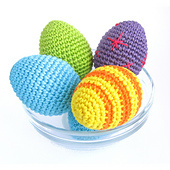 Keeps your eggs warm and also makes a nive decorative element on your easter table. 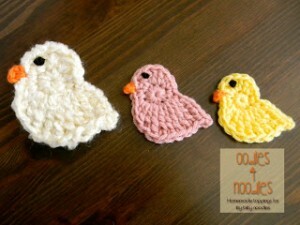 A cute applique vor bags, hats, placemats…! 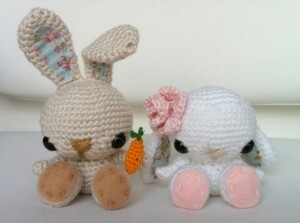 Awww aren’t they adorable ? This pattern is a free ravelry PDF download. 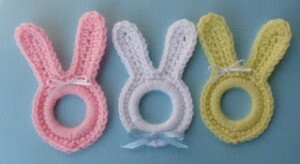 They will be the perfect eyecatcher ony our easter table! 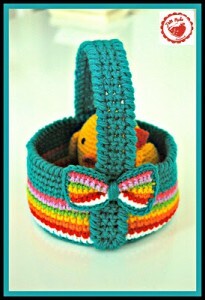 Lucy makes so wonderful designs and her colour combination is fabulous! 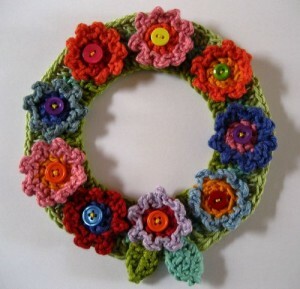 A beautiful decor for your home or your frontdoor! 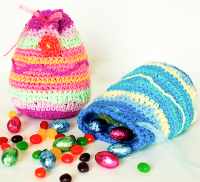 I hope you enjoyed the pattern round up this week.